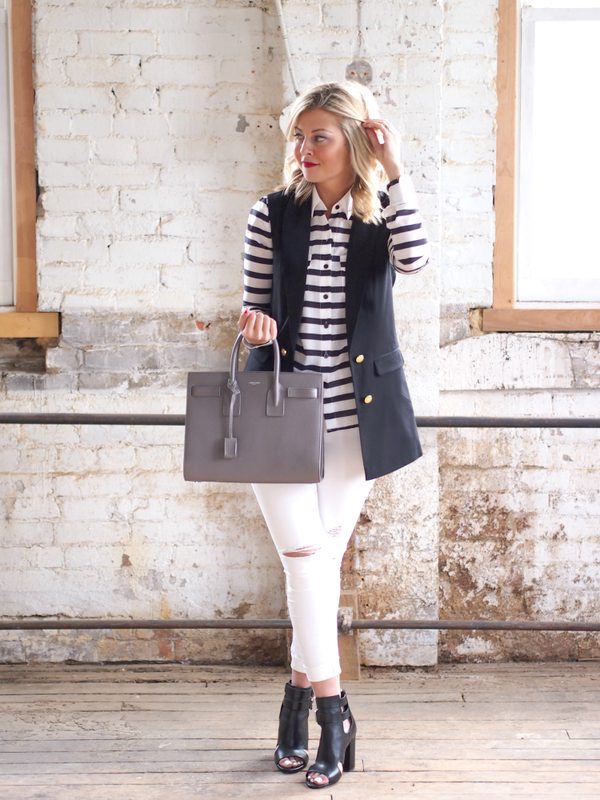 So it dawned on me that I've officially bombarded you with two vest looks this week - sorry about that! 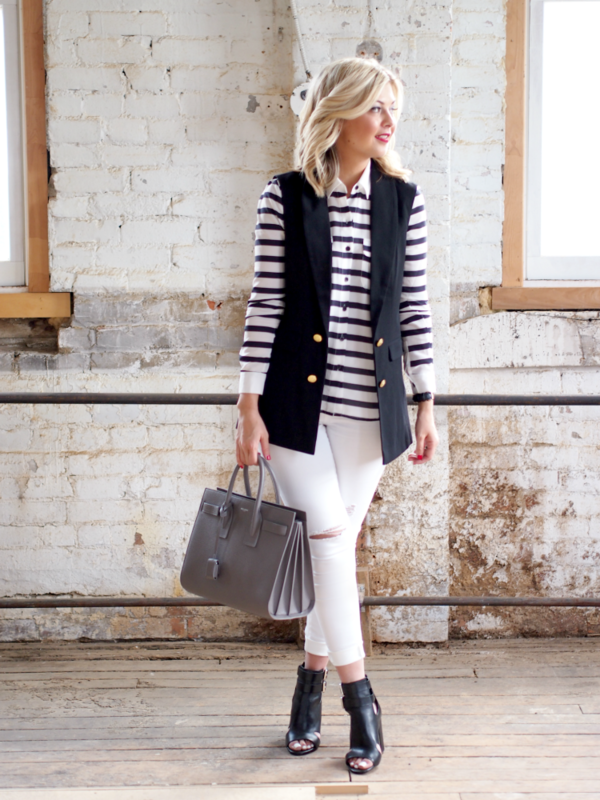 If you can't tell, I'm kind of loving this wardrobe item as the perfect transitional piece for spring. I've been throwing it over blouses with skinny pants or pencil skirts and bodycon dresses. If you follow along on Instagram, you probably saw the sneak peek I posted of this outfit from the weekend. I had the chance to shoot a small project for Armani with Adam for a new cologne they'll be launching. I've never had the opportunity to work with Adam on a shoot so I was thrilled when we were sent the proposal. Now he knows what it's like to try and not smile goofy, stand up straight, stick out your chin or remember to hide or swallow your gum (I always forget!). I'll be sharing a video, some sneak peek photos and an ah-mazing contest in the next coming weeks! I love this look! 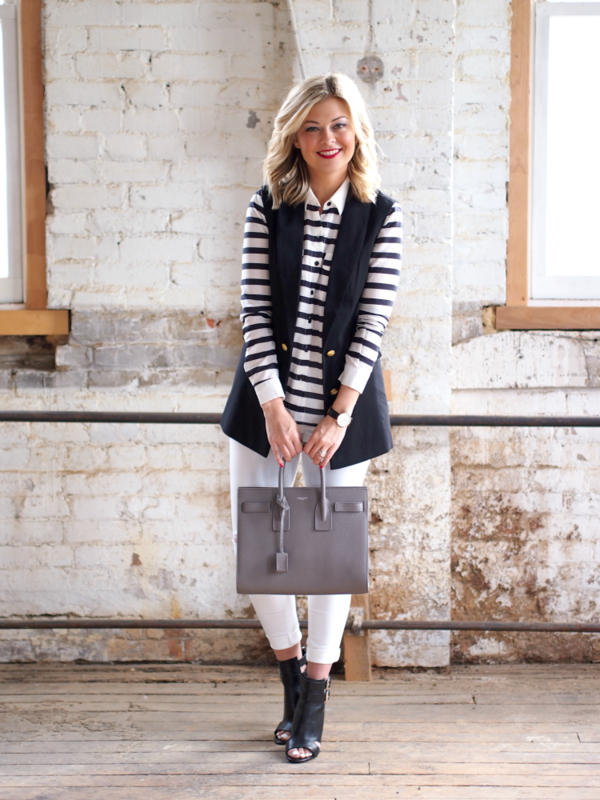 You are the best at layering!! 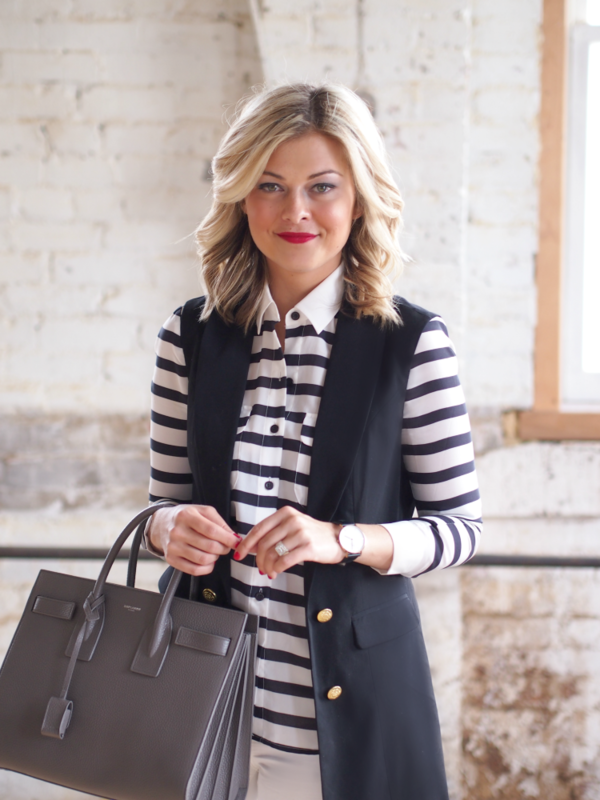 This is a really effortlessly chic Look; I definetely need a vest like this, it makes everything appear so clean and modern. I love everything, the bag is a dream and the shoes are amazing, love them! 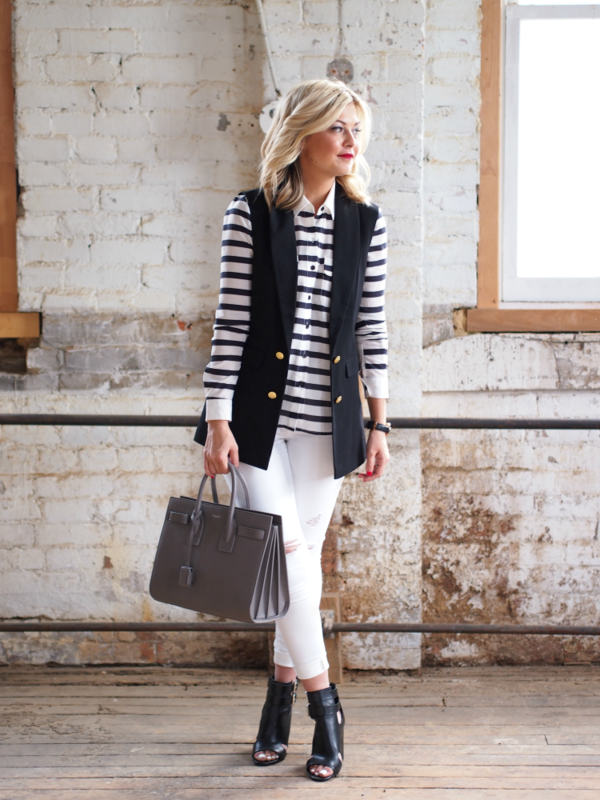 I can't get over that vest and it looks great paired with white jeans. 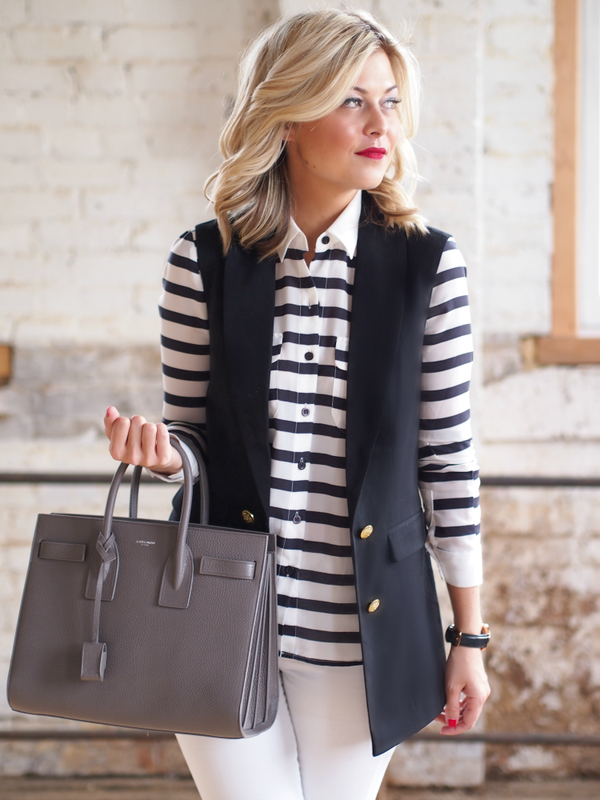 Great vest and bag, you look so elegant in this casual outfit! OMG ...I received this bag in red mini..
And - the interiors of the location for this post is sooooo lovely. Le sigh. Such a great look on you girl love it!! I love these shots and your heels are incredible! 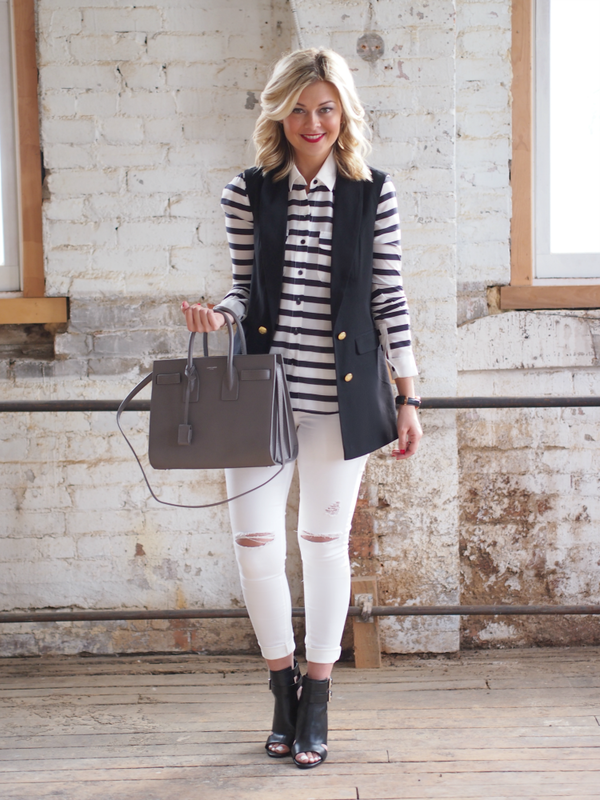 Love the stripe top and boots, gorgeous outfit! eek! obsessed with that bag! loooooove it! Your background is EVERYTHING RIGHT NOW!